Privileges are everywhere!.. This is one of the most good option to use in Dragon Nest M - SEA. By this, it will boost you not only your leveling but the items and additional to your daily journey. Our daily events are limited and choosing one of three privileges are the following to extend your gaming experience. 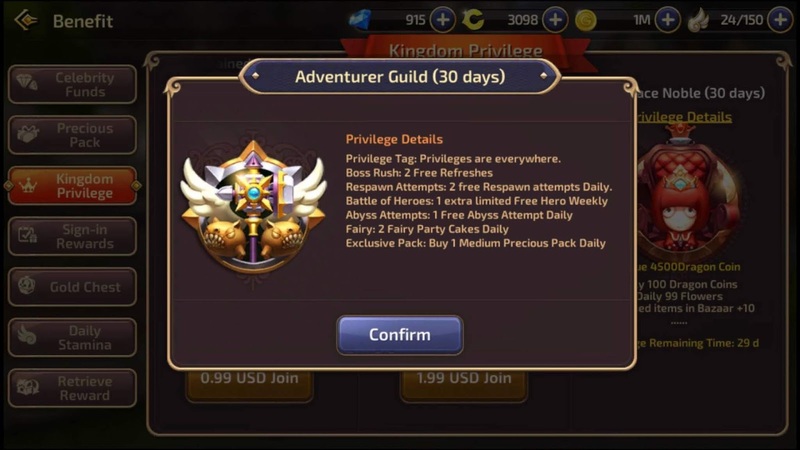 Strengthen menu) and choose Kingdom Privilege tab. Boss Rush 2 Free Refreshes. Respawn Attempts: 2 free Respawn attemps Daily. Battle of Heroes: 1 extra limited Free Hero Weekly. Abyss Attempts: 1 Free Abyss Attempt Daily. Fairy: 2 Fairy Party Cakes Daily. Exclusive Pack: Buy 1 Medium Precious Pack Daily. Continental Exploration: 4 Dice count Daily. Abyss: 5 Abyss Sweep Coupons Daily. Immortal Buff in World Boss Map. 100% Increased to the Purchase Limit for Green Agate at the Dragon Coin/Diamond Market. 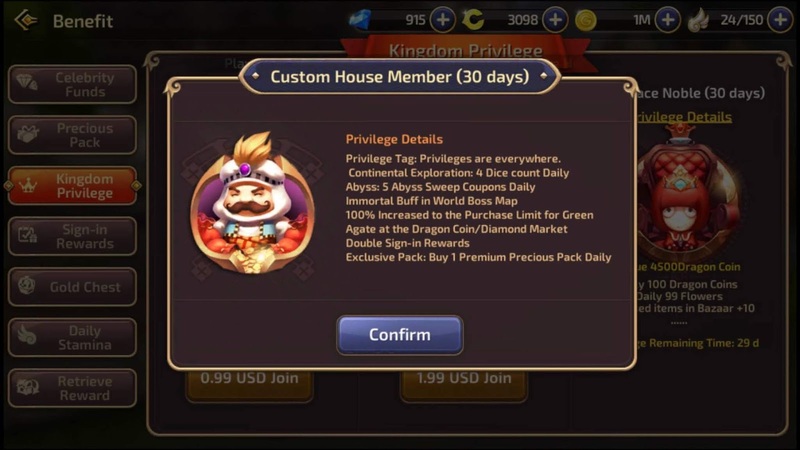 Exclusive Pack: Buy 1 Premium Precious Pack Daily. 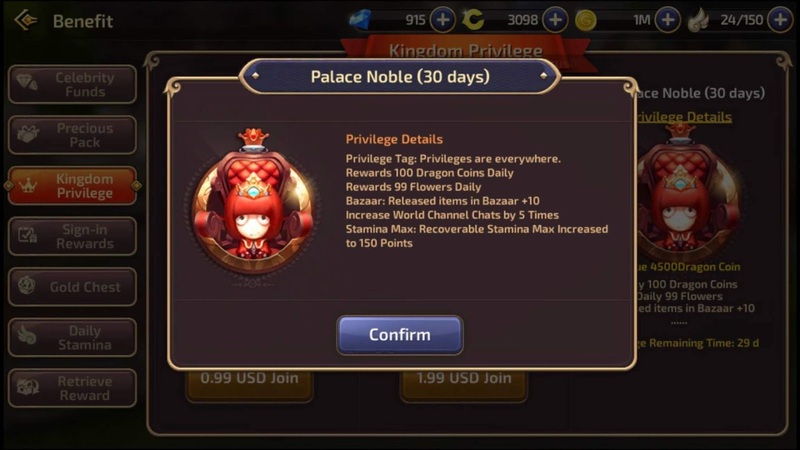 Rewards 100 Dragon Coins Daily. Rewards 99 Flowers Daily. Bazaar: Released items in Bazaar +10. Increase World Channel Chats by 5 Times. Stamina Max: Recoverable Stamina Max Increased to 150 Points.